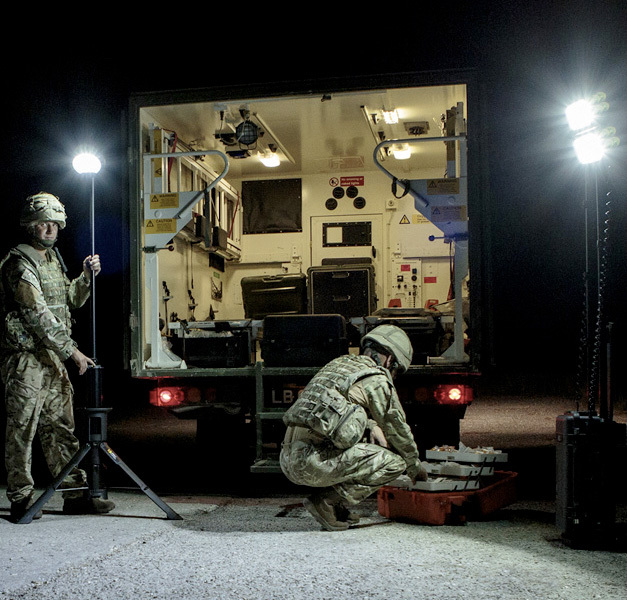 Peli´s Remote Area Lighting systems (RALS) bring fully portable, powerful, energy-efficient and rechargeable lighting to remote areas, confined spaces and large workspaces without the use of a generator. 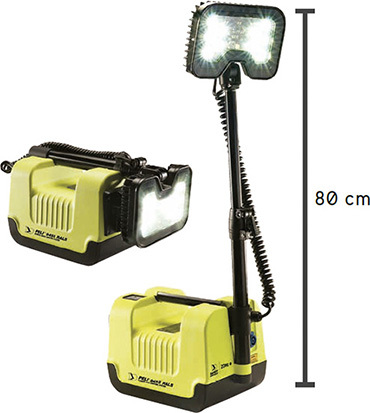 These rechargeable LED worklights are self-contained, extremely easy to set up and offer a safe, economic and convenient alternative to generator powered lighting. RALS will light up ravines, confined spaces, riverbanks... any place your apparatus can’t go. 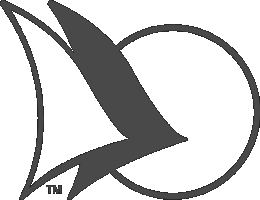 Depending on the model, features include multiple heads, multi-position deployable masts with 360º rotating heads, Bluetooth activation, and swappable battery (selected models). 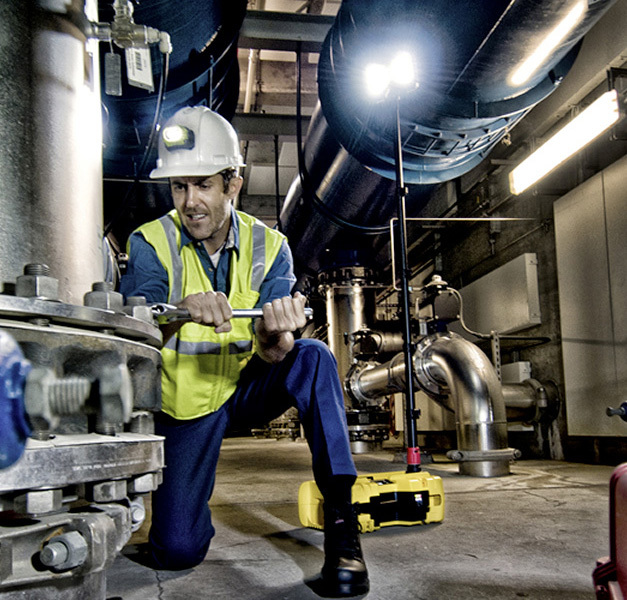 Using the state-of-art of LEDs, some of Peli’s RALS models feature up to +6.000 lumens of powerful beam of light and offer up to 40 hours of run time. Made of polycarbonate / ABS and/or polypropylene (depending on the model), these extremely tough portable flood lights, have been tested and proven in the harshest and most demanding work environments by first respondents, military and defense, aerospace, and industrial customers. 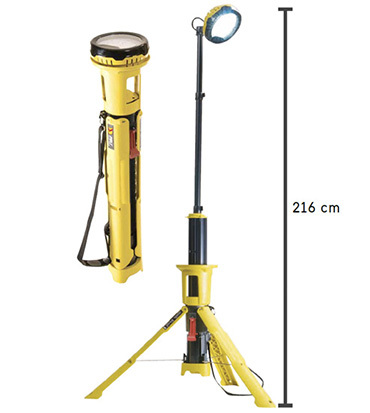 A Peli RALS is the perfect portable rechargeable light for night-time road constructors or railway engineers. Factories will also benefit from having one of these portable floodlights near, as backup emergency power. For professionals working in hazmat industries, like Oil & Gas Refineries, Fire Brigades or Petrochemicals, the perfect choice is the 9455 RALS approved for ATEX Zone 0. EMS professionals and aid workers will be able to light up remote areas and emergency scenes in seconds and without the use of obtrusive cables or noisy generators. These ultimate emergency area lighting are extremely versatile and there´s a model for every kind of situation. 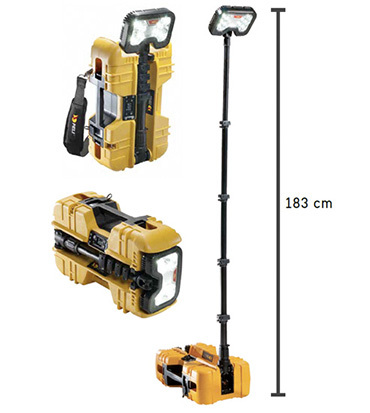 At just 10 kg, the compact sized 9430 RALS is easily transported when going up stairs or ladders and makes confined spaces easily accessible thanks to its fully extendable mast with 360° rotating light head. 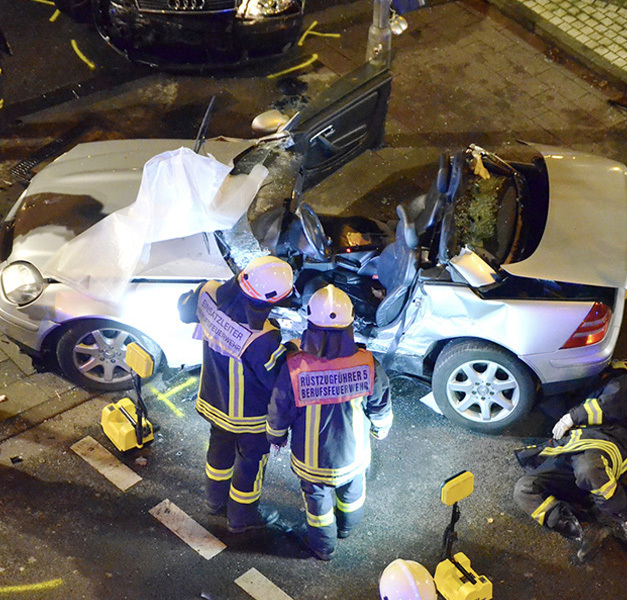 Easy to set up, Peli´s Remote Area Lighting systems, will allow quick deployment of police checkpoints and crime or emergency scenes. 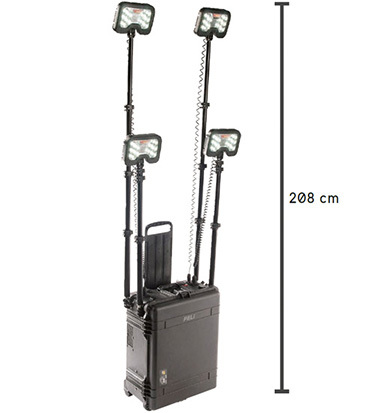 Solid-state mounted LED’s coupled with a thermally efficient light engine and a Peli Protector™ case, make the 9470 the ultimate maintenance-free all-terrain portable light tower to get the job done efficiently, safely and on time. Built with versatility in mind, this work area and scene light range spans fom the compact single head 9430 (that easily fits into confined spaces) to the four head 9470 (which is capable of turning night into day).